For Buyers that aren’t prepared, the costs that they incur in addition to the price of the home can be shocking. The following information is not intended to scare you away from buying a home, but rather to ensure that you are aware of these costs. Here’s a quick summary of those items. This is the difference between the amount of your mortgage, and the actual cost of the property. For example, if the sale price of the home you are buying is $500,000 and the mortgage you have arranged is $400,000, your down payment will be $100,000. A portion of this amount would have been paid as a deposit when the Purchase and Sale Agreement was negotiated and is being held “in trust” by your Realtor’s brokerage. Your lawyer will collect this amount from you at the time of closing. Prior to buying a home, you should have a home inspection performed to identify any significant structural, electrical or plumbing problems. Some lending institutions require that you have a home inspection completed before approving financing. Approximate cost is $300 – $400. If you are putting less than 20 per cent of the value of the house down, you will need mortgage loan insurance. Depending on the lender, the premium can be added to mortgage payments or you may be asked to pay the first instalment upon closing the deal. Click here to use my Mortgage Calculator. Approximate cost varies. Mortgage companies will need a physical appraisal of the property to be completed in order to issue a mortgage. Discuss the appraisal with your bank, mortgage provider or mortgage broker. The cost of is often negotiable and I suggest you try wherever possible to have the lender pay for them. Standard appraisal fee is usually $300 – $400. As outlined above, mortgage companies often require an appraisal of the property and in some cases, may require a survey. The agreement of purchase and sale will usually have a clause asking for the vendor to provide a survey. If the vendor will not provide an acceptable survey, a new survey may have to be obtained at an approximate cost of $1000. In many cases however, the survey is provided by the vendor. Title insurance can sometimes eliminate the requirement for a new survey. Title insurance is an insured statement of the condition of title or ownership of real property, at the time the policy is issued. Approximate cost is $250 – $300. The Land Transfer Tax is payable on all purchases. 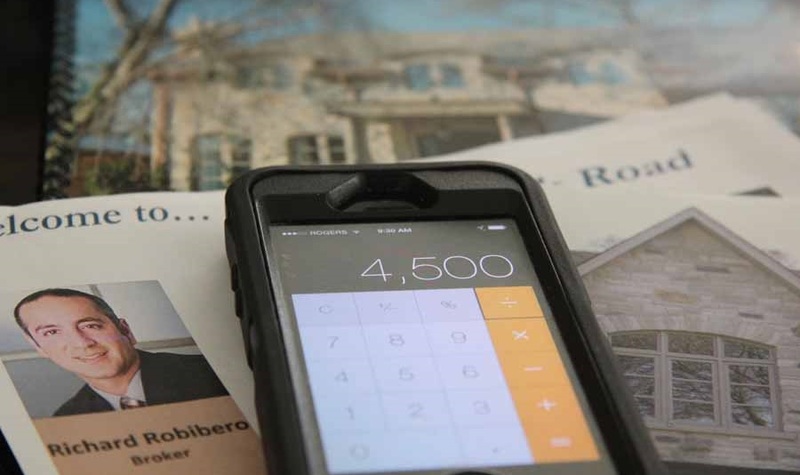 The tax is calculated on the purchase price of a home according to a specific formula. Click here to use my Land Transfer Calculator. You will need a lawyer to handle the conveyance of the property you are buying. If you do not have a lawyer, I can provide you with a list of those professionals past clients have used and been satisfied with. Ensure you know what they will charge you and what is included. Approximate cost is $1000 – $1300. The purchaser and the vendor are each responsible for their share of taxes, fuel, and utilities. These costs will be reflected in the statement of adjustments which the lawyer puts together. Approximate cost: Varies on type of property and time of year. Home insurance premiums will vary according to your insurance needs. In a condominium, the building insurance is included in your maintenance fees and does not form part of the closing costs, unlike a house purchase. Insurance for a home purchase must be in place by the closing date. Approximate cost varies. Call Richard at 416-277-8025 to help you budget for your new home purchase!